Now that we are preparing for submissions for 2016, we are moving our winners list for 2015. Congratulations to Daragh and to all our award winners announced on 25 March 2015. “Wasted” by Daragh Goan, Dublin. “The Light” by Sophie O’Donovan, Cork. “The Long Haul” by Arran Tenzin Bradstock, Cork. “The Detective” by Gairmscoil Mhuire, Athenry, Co Galway. Production Design: “Dead Planet” by Ruairi O’Neill, Waterford. Direction: “Solitude” by Matthew Joyce, Wicklow. Cinematography: “Intruder”, “Attic”, “A World of Your Own” by Adam Howe, Cork. Script: “Foreign Exchange” by Gallen Community School, Co Offaly. “Jojo” by Anna Heisterkamp, Dublin. “Internet Addiction and Me” by Eoin Corbett, Co Tipperary. Special Mention: “The Restoration of the old Irish Fiddle” by Naoise Kettle, Laois. Special Mention: “Boiled Beef”, St Joseph’s Secondary School, Kerry. “What Makes Me Happy” by Bradog Regional Youth Service, Reel Youth, Dublin. Highly Commended: “The Restoration of the old Irish Fiddle” by Naoise Kettle, Laois. “Da Vincki and the Button” by Matas Skudra, Galway. Performance: Sean Griffin in “Stage Fright”, Dir. Cian Byrne & Joe Kiely Fox, Digital Film School, Dublin. Comedy: “The Search for WiFi” by County Wexford Film Project, Wexford. Ambition: “The Plan” by Eamon McMahon, Wicklow. Authenticity: “Peace, Pancakes and Miley Cyrus”, by Loreto Secondary School, Cork. “I Wish…” by 6th Class, Scoil Bhride, Galway. “YOLO” by Tadhg Quill-Manley, Cork. “The Heist” and “Suarez”, by Young Irish Filmmakers, Kilkenny. Storytelling: “No Reception” by 1st, 2nd & 3rd Class, St Joseph’s NS, Kerry. Performance: “Kate’s Ghost” by Carrig NS, Co Offaly. Concept: “Easy as ABC” and “Note” by Trading Faces, Galway. Documentary Filmmaking: “Pre-Celtic Desertserges” by Ahiohill NS, Cork. Production: “Trasna na dTonnta” by Cappabue NS, Cork. “Bonfire” by 6th Class, Rathmichael NS, Dublin. “Material Man” by Cian MacCoille & Aoibhinn Ni Coille, Galway. “Boy” by Lucas Helth Postma, Station Next, Denmark. “Pi” by Lars Huulgaard, Station Next, Denmark. “Born to be Loved” by Choi Eun-Sol, Korea. “Angel for Hire”, by Katie Hoggard, Wales High School, Sheffield, England. Cinematography: “Winter Journey” by Simon Hoffman, Kemperly Film Production, Germany. Storytelling: “Traces” by Escola Esl Xiprers, Spain. Limerick Audience Award: “Mi Phone” by Cian O’Connor, Kerry. Galway Audience Award: “Tales from St Enda’s” by Colaiste Einde, Galway. Cork Audience Award: “Theatre” by Cork Young Filmmakers with Briery Gap Youth Theatre, Cork. Dublin Central Audience Award: “Wasted” by Daragh Goan, Dublin. Dublin Central / Leinster Audience Award: “Horse Love” by Sean Thomas, Dublin. 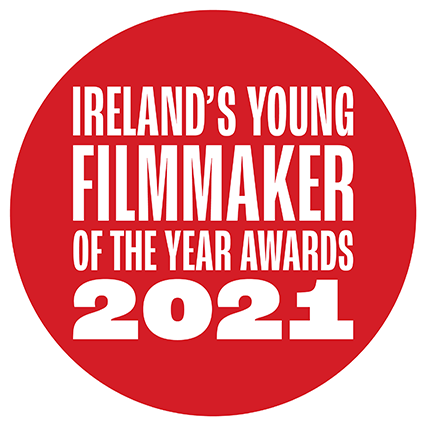 Leinster Audience Award: “Never Forget” by Youth New Ross, Wexford.